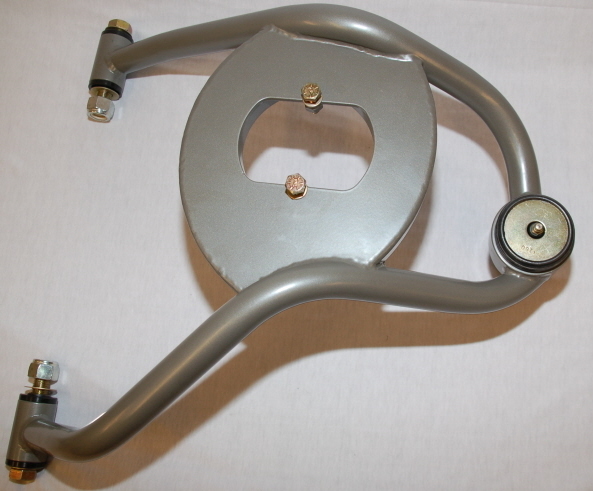 Light weight control arm (6lbs ea.). Tig welded chrome moly. That will accept big body shock (very important). Shock will remove and install from below control arms. Comes complete with powder coating, hardware and ball joints. 5 degrees of positive caster built in upper & lower combination. You will save 36lbs with an upper & lower set replacement over your stock control arms. DOES NOT COME WITH MOUNTING HARDWARE.